But retirement differs from being employed in other ways, and one of them is the financial aspect of the lifestyle. 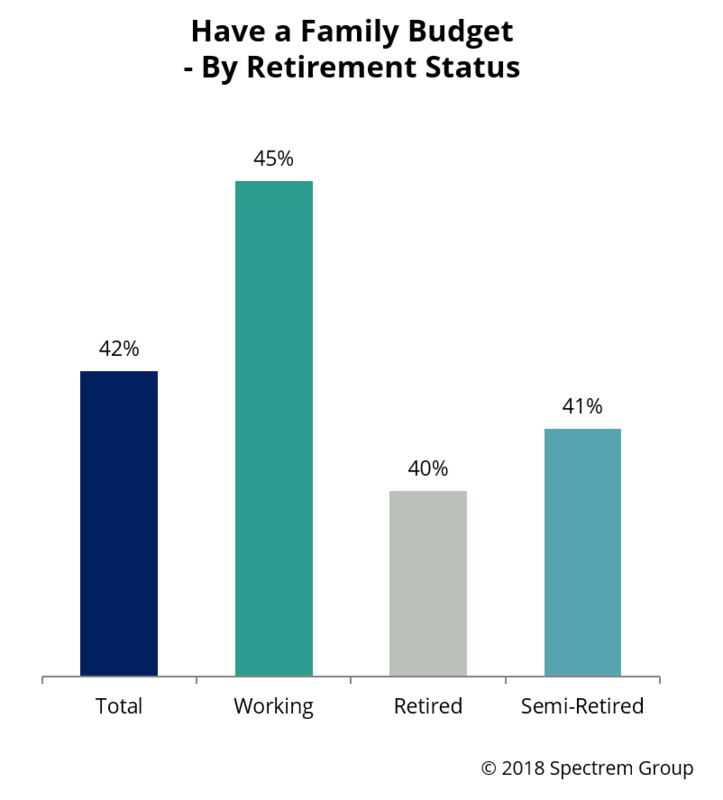 Even for affluent investors, retirement includes a finite income stream that was created prior to retirement but has little opportunity for growth once the investor enters retirement. That is one of the major functions of a financial advisor who deals with retired investors, providing direction for the funds retirees have for the daily and monthly expenditures that come with living the life they want to lead. That function, however, is apparently not employed by all retirees. As part of its monthly survey of investors with a net worth of at least $100,000 (not including primary residence), Spectrem asked retired investors in May about their household financial planning. The results show that they don’t all operate with a household financial plan. 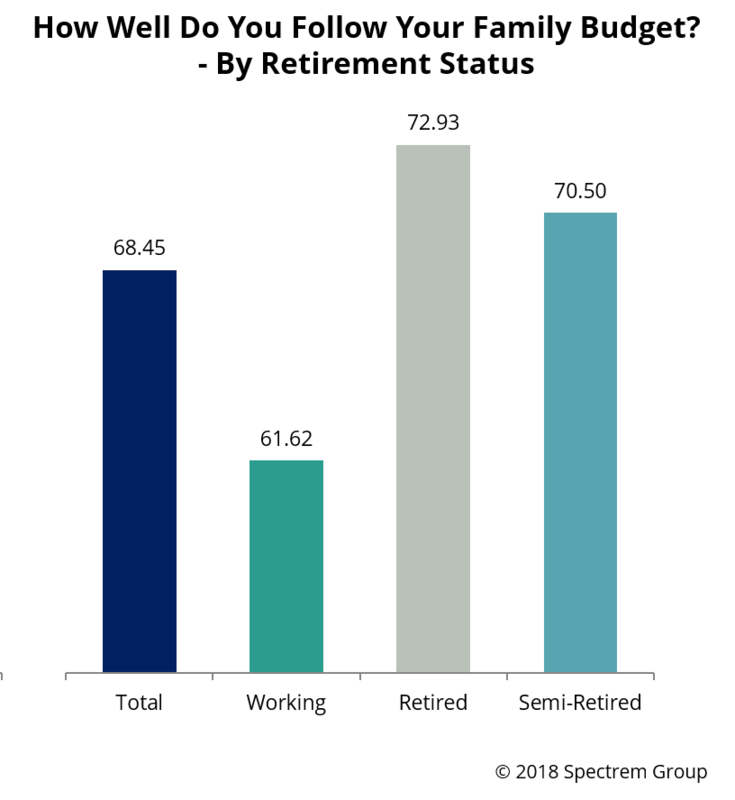 Responding to the simple question “do you have a family budget?’, 60 percent of retired investors said “no.” That’s more than half of retired investors with a sizable net worth who make household financial decisions without the benefit of a predetermined amount to spend on regular categories of need and want. Of course, a budget is only as valuable as a family’s willingness to stick to that budget, and it is here where retirees show their wisdom. Asked to place their family’s dedication to the budget on a 0-to-100 scale, retirees who have a budget rated themselves at 72.93, a very high rating, compared to 61.62 among working investors who live with a household budget. A household budget is different than a financial plan, which takes into account the funds which will be used for investing and how those funds will be invested. Only 36 percent of retirees have a financial plan written by a financial professional (topping working investors, of whom only 32 percent have one) but again retirees are more likely to be steadfast to that financial plan, rating themselves at 70.50 in their dedication to the financial plan. The good news, as far as both advisors and retirees are concerned, is that 80 percent of retirees with a financial plan review that plan at least annually, and 35 percent review it at least twice a year. Such review allows the financial plan to be more responsive to the current needs of the investor.